Do you suffer from the absolute exhaustion and brain fog known to be part of chronic fatigue syndrome? The lack of stamina that brings you to the point of being afraid to start anything because you might run out of energy before you can finish it? Do you wonder what the causes of chronic fatigue are? Do you forget the names of objects, and resort to saying "the thing" a lot? Is your short term memory, or rather the lack of it, embarrassing? Are you afraid to answer the phone some days because you know you sound like you are speaking gibberish? Are you getting signs of rheumatoid arthritis? 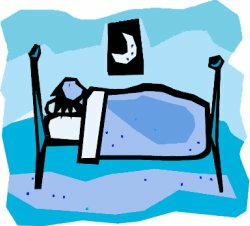 Do you wake up stiff and more tired than when you went to bed? Have you become a night owl? Chronic fatigue symptoms are many. The signs and symptoms can vary in intensity from day to day, but never completely go away. Often, a person can start out with Chronic Fatigue Syndrome, only to end up with Fibromyalgia after years of fatigue. Yet nobody knows the causes of chronic fatigue and fibromyalgia. Routine medical exams and lab work show nothing. They say you are normal. Every one is skeptical that there is anything actually wrong with you. They tell you it's "all in your head" or you are just "depressed". Natural remedies help somewhat, at least for a time. But nothing seems to eliminate these insidious illnesses that leave you feeling like the walking dead...or maybe the barely walking tormented would be more accurate. The true causes of chronic fatigue have proven elusive, and an actual cure remains a hope rather than a reality. What can you do? You've tried everything you've heard about, and nothing has really made a difference long term. You still have chronic fatigue. The problem is that nobody really knows the underlying causes of Chronic Fatigue Syndrome. If you don't know the cause, how can you target the source to eliminate the illness? I've been where you are. I know firsthand what it's like to be looked at like you are too lazy, too flaky, or just unwilling to hold up your end. People think you don't want to do your share. They say "I get tired too". Until you've experienced that relentless fatigue, the dulled mind, the barely have the strength to breathe exhaustion yourself, you simply cannot comprehend that anyone actually has to live this way. Much less that they are this bad every day, and some days are even worse. Truly, it is beyond the comprehension of most people just how bad Chronic Fatigue really feels. There are two conditions that you need to make sure are not the underlying causes of chronic fatigue for you. I know, because I have both of them. The first one that you need to rule out is sleep apnea or another sleep disorder. Sleep apnea prevents you from getting the deep sleep that is necessary to repair the body. It is during this deep sleep cycle that the body does most of its work. Without that deep sleep the body slowly wears down and can't repair itsself. If you snore, especially if you snore loudly, you need to have a sleep study. Although sleep apnea does affect some people who do not snore, that is much less common than the ones who do snore. If your significant other has had to move to another room, or wears earplugs, then you know you need the sleep study. In my case, this was a critical component. It was certainly one of the causes of chronic fatigue in my case. It was not the full answer however. I was still very tired compared to others. I still got brain fog about half the time. I had improved, but not anywhere near normal. One of the other causes of chronic fatigue for me turned out to be gluten. Gluten sensitivity can lead to many of the same symptoms that are prominent in Chronic Fatigue and Fibromyalgia. It is virtually unrecognized by the medical community. Gluten sensitivity can run the spectrum from a mild sensitivity to full blown celiac disease. Even a mild sensitivity can cause neurological disruptions, brain fog, and memory issues. Some people can have gait problems, digestive issues, or skin rashes. It can affect your skin, your brain, your bones, your hormones, your muscles and your digestion. Even celiac disease, which is a recognized, and testable condition, is rarely diagnosed. In celiac disease, gluten causes an autoimmune reaction in the body. The antibodies actually attack the lining of the small intestine, and over time, erode the villi away. This causes major malnutrition problems, especially with vitamin D, B12, Iron, Calcium, Magnesium and Folate. 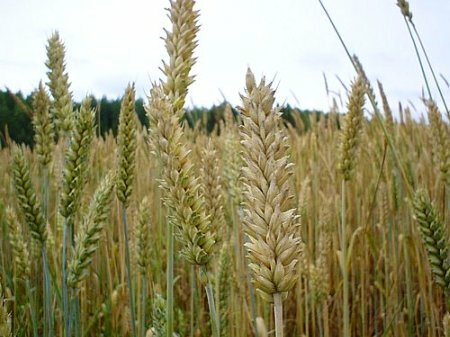 For people with celiac disease, the proteins in wheat, barley and rye are toxic. In the United States, it is estimated that over 95% of the people who have celiac disease do not know that they have it. About 1 % of the population has the disease. (1 in 100) Many doctors are still under the impression that it is a rare disease. In medical school they were taught that the incidence is about 1 in 10,000. There are many others who are also gluten sensitive but do not carry one of the two genes that are associated with celiac disease. While it is very rare to develop celiac without one of those two genes, there have been a few cases. Nevertheless, many others do respond to gluten with intolerance or sensitivity symptoms. If gluten is one of the underlying causes of chronic fatigue symptoms for you, the solution is to go on a gluten free diet. It requires no prescription or medical treatment. There are tests available to check if you have antibodies to gluten. If you do have antibodies, gluten may well be the or one of the underlying causes of chronic fatigue and pain for you. Regular tests for celiac disease often give false negatives for antibodies early in the disease. The blood tests usually won't show antibodies unless damage is severe to the small intestine. For those of us who want to know about gluten sensitivity or less advanced celiac disease, the blood test will not give us our answer. There are two other options. You can get a stool test from Enterolab for antigliadin antibodies, or you can go on a gluten free diet for a few months, and then see what happens. If you feel better, then after about 3 months try a small amount of food that contains gluten and see if you react. If you bloat up, get really tired, and feel worse, then you may have the answer to your fatigue...or at least part of the answer. The advantage with Entero Lab is that they can also run a gene test which will tell you if you have the genes for celiac disease. They can check the gluten or gliadin antibodies, and they can check to see if you also have antibodies to casein, which is the protein portion of milk. Many of those with gluten sensitivity also react to dairy. The tests are not yet accepted by the medical profession because Dr. Ken Fine hasn't yet published his research data. ( He is a board certified gastroenterologist.) Which means insurance usually won't cover the cost of the tests. If you are interested in the Entero Lab antibody testing, you can find more information on it at home gluten sensitivity test I am not affiliated with Entero Lab in any way. I just want to provide information that can help others find out the causes of chronic fatigue for them. If you would rather consider going on a gluten free diet for a few months first, and see what happens, then start at the section in the navigation bar on the left that says Sensitivity and learn about gluten and it's effects. The only downside to this approach is that if you do have celiac disease, you would have to be eating gluten again for several months in order for tests to pick up the antibodies. The section on symptoms covers what can happen if your body is getting damage. It covers various nutritional aspects and what those deficiencies can do. The shopping section has lists of gluten free foods that can be bought at your local store. It really helps with the diet. If you have questions feel free to send me an email through the contact form.